Was it an “eyes meeting across a crowded room” experience for you or was it a gradual, slow burn process? 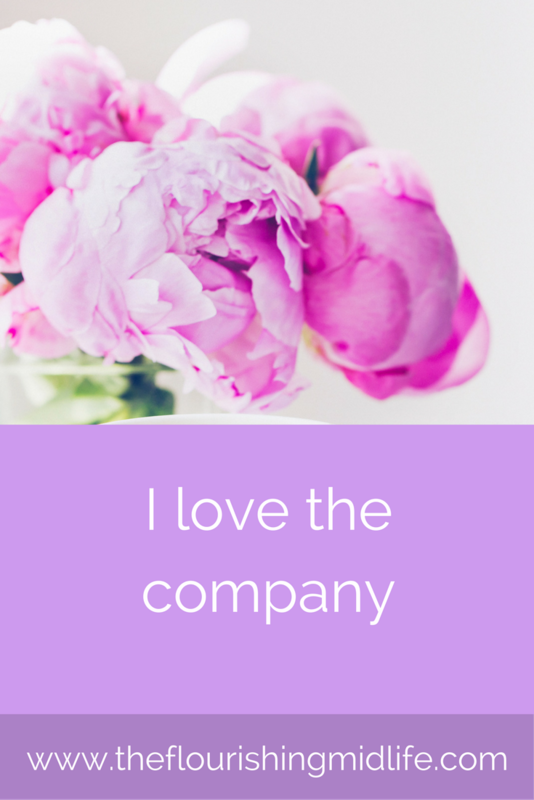 My falling in love journey with doTerra was gradual and hesitant at first as I was already in an essential oils relationship, I was a one-supplier woman. But then it seemed I was stalked by the lovely doterra fairies (in the nicest possible way). And for a time, everywhere I turned, there they were. A local friend held a class. A business leader I followed from the States started talking about their role in helping her towards success. An Australian guru did the same. A book I randomly picked up talked about the doterra business model. And sometimes when you keep hearing the same message over and over again from different sources, sometimes, you've just got to hold up your hands, roll your eyes to the sky and surrender to the inevitable. My reasons for surrender were many. The first overwhelming reason why I’ve fallen in love is because the oils are such an incredible product. They’re not something I’ve used once or twice and thrown in the bottom of a drawer. They’re in me, on me and around me on a daily basis because they are so wonderful and such a joy in my everyday life. The first product I bought was the emotional range – a range of six essential oil concoctions for different emotional states and very quickly my little box of oils and I became inseparable. Feeling down, I'd reach for the "hug in a bottle" CONSOLE with its blend of frankincense, ylang, ylang amongst others. Needing a little more zip and inspiration I'd reach for PASSION because who doesn't need a little jasmine, vanilla and friends? They smell pure, powerful and real as opposed to the fake aroma that comes from a bunch of synthetic chemicals. They opened up another dimension of sense to me that I can use with awareness and brought a richness and depth to my world. And yet, perhaps their most profound gift has been in providing me with an easy tool to manage my emotions that takes no longer than it takes to open the bottle and inhale the scent. I can breathe in Motivate, sign and allow Cheer to do its magic, inhale slowly,calmly and deeply with Peace. I started using them on my family. Thankfully, none of us have major health issues, but just in little, everyday ways they eased everyday niggles and became part of our life. Lavender to soothe burns, peppermint to help tummy aches, oregano and meleleuca for those tricky fungal, foot issues. Being able to reach for a quick solution rather than wait for three weeks to see a doctor or pop to the pharmacist for a straightforward problem made me feel empowered and more able to manage our health. I'm a bit of a "making my own chutney, curtains and lampshades" kind of woman so any chance to be creative is perfect for me. Mum and daughter time with my ten year old has given us masses of fun creating goodies out of the oils in our kitchen. So far, we've made our own natural products and essential oils lip balm using my daughter's favourite blend - lavender and grapefruit. And future projects are going to be our own scented candles perfect to hygge the home as we move into my fav season of autumn and our own hand soap. I also started using them in cooking and can whiz up a cheeky little salad dressing with a drop of wild orange oil at the whip of a hat or add an extra drop of ginger to enhance the taste of a little gingerbread man. Again this was never for "we've come to a crisis" health reasons but for irritations with the synthetic - my head does funny things when confronted with a synthetic- perfumed candle and plug-in aroma chemicals, without mincing words, always starts a headache or makes me want to vomit. So for many years I've been interested in reducing the toxic load in our home and making it a no-go zone for unnecessary chemicals that promise much but sneakily, undermine our health. And when I started researching chemicals found in everyday cleaning products, I was shocked at their potential for harm. So having a box of little oil jewels that I can tap into at any time to make up an extremely effective cleaning product or to perfume myself or my home in a health-enhancing rather than health-detracting way, is liberating. Interestingly, a month or so after using doTerra oils regularly I had to throw away a bottle of expensive perfume that I have used for decades as all I could smell, was chemicals - and we're talking not in a very attractive way!! But the essential oils aren't just about me and my family. They've been a fantastic way to connect with others on what's quite frankly a deep and wonderful level. I'm an introvert and am happy spending a lot of time being on my own but it's been so joyful to realise that there are wonderful women around me and that being with them and sharing the oils is such an amazing gift. Connection to others, isn't just about the people I'm meeting personally but expands to the doTerra company as a whole. Without exception, I love the people I'm meeting and I can't fault their integrity. Before I started using the oils I did my own google, search to find out more and very quickly discovered that doTerra is committed to the quality of their oils.Every batch of oil they produce is tested, tested and tested again to assess purity and not just in their own laboratories but those of independent third parties. Every oil is sourced from the plant's natural environment,from every corner of the globe and brought to us through socially, ethical and environmentally- friendly means. Yet what I love about doTerra is the care the company gives to the local farmers and distillers, paying a fair price, helping them form co-operatives and providing training and support. They also provide huge amounts of financial support in the wider communities providing schools, access to fresh water and other vital facilities. So with these oils we connect with ourselves, to those near us and then through the company with those on the other side of the world.